This report is analysed and detailed study of a multinational company in different aspects. All the important and essential details which can be useful are analysed and identified by this study. This multinational company is BHP Billiton which dealing in mining, metals and petroleum work and standing as world’s largest mining company in accordance with the market value of 2015. Company is Australian company headquartered in Melbourne. The company is formed in 2001 with the merger of two companies one is Australian Broken Hill Proprietary Company Limited (BHP) and Anglo- Dutch Billiton plc. And this makes the company Anglo- Australian multinational company. The company is listed on two stock exchanges which are making its reach and business expended in different countries and also enhancing its revenue. The company is earlier listed on the Australian stock exchange (ASX) which defined the company as one of the largest company of Australia according to the measures of capital capitalisation. The company is also listed on the London stock exchange and covering a huge part of UK’s capital market. We will also discuss about the CEO’ report of the company which is for the tackling different issues in company and maintaining sustainability in the organisation to cope up with the uncertainty and other circumstances in the following parts of this report. Managing significant energy demand- BHP Billiton is providing renewable energy by its different activities. It is in the framework of company to manage demand of energy which can be significantly fulfilled. Management of cost and revenue of company which make impact on the prices of products of company and also differ from country to country. The ways and concepts which are to be followed to effectively manage the cost of the company’s products are defined which can provide long term profits to company’s shareholders. The framework of company also focuses on maintaining its position as the leader in the market and to achieve the best remarks and positioning from different measures in the world. The framework also includes the comparison of different providers of renewable energy in the market. In the framework of the company there are considered policies which are focused on climate change policies and greenhouse gas emission is treated on priority basis which is important to managing global warming and reduction in the environmental issues in the company which can lead to more sustainable environment in the organisation. Company’s framework also includes legal and regulatory requirements which is to be fulfilled by the company by managing proper due diligence in organisational activities required for renewable energy (Floriset, et. al 2013). Concepts and framework of BHP Billiton is more focused on developing different technologies and range of assets which can be used to increase the level of performance of the company and innovating different types of services which can be used to effective utilisation of natural resource to develop renewable energy. Framework of the company includes goals and objectives which are to be achieved and also includes corporate social responsibility activities planned by the company to be executed. Corporate governance can be defined as set or group of activities, rules and practices which are determined by board of directors for effective running of the organisation. These corporate governance activities help in ensuring the accountability, fairness and transparency within the organisational activities and relationships with stakeholders of the company like shareholders, customers, management, suppliers etc. There are included explicit and implicit contracts and procedure and reconciliation of conflicts, distribution of authorities and rewards and their control and supervision in effective manner and all this make impact on appropriate running of organisation. BHP Billiton is largest mining company of the world which is effectively adopted corporate governance in its activities (Bonn, et. al 2011). BHP Billiton is focused on providing long term benefits to its shareholders by developing energy from different natural sources. The other focus of the company is to help and support the government policies to reduce the greenhouse gas emission and also making impact on global warming to control its impact which can increase the stability and certainty in the organisation. Being highest revenue company in the world BHP Billiton have high level of corporate governance which is helping in making it market leader. The main approach of company’s corporate governance is to establish and follow a code of conduct in the organisation to execute its activities in most effective manner and also assuring the accountability and fairness and transparency in activities of the company (Bonn, et. al 2011). The company is dual listed company which is listed on the Australian stock exchange (ASX) and on London stock exchange. In the policies of corporate governance all the legal duties and due diligence which are required to be followed for fulfilling all the compliance of stock exchange are included in corporate governance activities. The principles are determined by the board of directors after effective analyses and evaluation in which there is defined impacts making on the shareholders. BHP Billiton focuses on developing rich governance culture which helps in enhancing quality of organisational activities and also helps in influencing all the members to adopt these principles of good governance in their activities which is beneficial for organisation’s success. Company is having appropriate governance of risk management in its activities by which stability and certainty can be increased. Board of directors and Risk and Audit committee (RAC) of the company have set a framework to deal with the risk factor of the company which is a part of corporate governance of the company. In BHP there is used customer sector group risk and audit committee which is managed and chaired by a member of the company’s board of director. Responsibilities are not delegated within the members of RAC and there follow approach which defines that it helps in having deeper knowledge about risk and assurance in the organisation (Dempsey, 2013). Establishment of positive relations with shareholders of the company by providing transparency in the activities of organisation and make them feel secured and protected by maintaining high level corporate governance in the organisation. Corporate social responsibility can be defined as those activities which are executed for the benefit of society and making an effort in the empowerment of society. There are different aspects and activities by which organisations make their contribution in the society. This approach defines that corporates takes a lot from the society as in resources and it is moral responsibility of these corporates to give back to the society by which it can emerge as strong and empowered (Dempsey, 2013). BHP Billiton is the leading company in mining work of the world and having high level of corporate governance which is helping in enhancing level of performance and stability of company and also matching the level of expectation of shareholders of company. Company is contributing in CSR activities as in by adopting different standards of working and making more effective environment. BHP voluntarily donates one per cent of its pre-tax profits in the CSR activities. Company makes efforts to achieve integrity and sustainability in its activities and secure all the aspects of environment. BHP is adopting organisational framework or culture in which all the activities are executed with considering responsibility towards society and ethicality in its activities which ensures importance of society from company’s perspective. The BHP Billiton Forum on Corporate Responsibility (the Forum) is established in 1999 which determines all the decisions made by the company in context of CSR. Company is making contribution in the following manner. Development of communities- BHP is contributing by making investments to empower various communities by helping them to empower in different manner. There are organised different projects and programs to support them to fulfil their needs and these programs are organised all around the world. Company have made donation of US$241.7 million for empowering different communities all around the globe (CALLICK, 2010). Developing economy- BHP is helping economy to develop in different aspects as in it provides opportunities to provide growth to the society and contributes to empower the economy. Health and education- Health and education are the basic requirements for the society to be achieved by all the people in different communities. BHP arranges different health campaigns and projects to provide effective standard of living to the society and communities. Company is also offering different scholarship programs which can provide opportunity to the people of different communities to achieve quality education. Disaster relief- Company is helping society at the time of any disaster and situation of any uncertainty like flood, earthquake, and drought which affects the society badly. In this situation company provides help by making efforts to support the relief program in which basic needs of the food, water, shelter, security and medical aid on primary basis and the long term help in rebuilding the infrastructure and their reach to services. Indigenous communities- BHP Billiton focuses on the empowerment of different communities in which communities which are based and are originated in that place. Company helps them to manage their lands, places, rights and cultures in their way (Sharif, et. al 2014). Climate changes- BHP Billiton has adopted management of climate change in its framework and also adopting different approaches and activities which support government efforts in environment management by reducing global warming, greenhouse gas emission and biodiversity and land management, and water management. There are established a committee which monitors consideration of these things in the activities of company and determines contribution of the company to manage effective environment. There emerged different accounting software which is treated as contemporary issues in the accounting software. This accounting software enables companies to calculate their contribution in the environmental and climate change (Davies, 2016). This is voluntary disclosure by companies to define their level of contribution and helps in enhancing environmental sustainability. 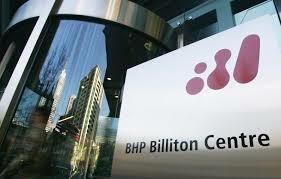 BHP Billiton is a leading mining company of the world and is focused on providing long term profits to its shareholders by way of the developing different technologies methods to effectively utilising the natural resources and provides renewable energy which can be used by the corporations all around the world. The company is one of the top producer of commodities like iron ore, metallurgical and energy coal, conventional and unconventional oil and gas, copper, aluminium, manganese, uranium, nickel and silver. Strategy which is used by the company is to produce in huge quantity and high quality, and low cost products which can appropriately fulfil the market demands and help company in standing as a leader in the market. Company is effectively understanding customers demand and changing in accordance with these requirements and it is helping in achieving positive customer satisfaction (Crowther, et. al 2014). An estimated workforce of the company is estimated as 1, 23,800 employees which are located in more than 130 locations in 21 countries around the globe. The company is world’s fourth largest company on the basis of revenue. The annual report of the company defines different data and information from financial statements of the company which is making impact on its leadership in the market. The market capitalisation of the company is calculated as US $ 179 Billion in June 2014. Total dividend per share was 121 US cents which is increased by 4 per cent. Sustainable productivity-led gains delivered by the company in the year 2014 were US$2.9 billion. Australian mining company has been facing various difficulties in handling its business in society their fore in order to make positive contribution to strengthen its image in the society company has put rigorous efforts to make effective image in the society. BHP is the first charter value of suitability reflects its priority of putting health and safety first and being responsible toward the environment and society at large in effective manner in the ethical environment of issue BHP Billiton has to do various acts in order to put emphasis upon the environmental factors in orderly manner. In the recent report passed by the Board of directors and CEO report it is found that in the collapse of dam flooded in the village into Rodriguez in the State of Minas Geris causes several deaths and accidents. Company has been developing various phases of ethical program such as arrangement of employment in those areas and making cleaning program for the betterment of that area. In the recent act of BHP Billiton it is found that in the compliance of corporate governance much positive contribution is made out of the earning of the company in the betterment of the society. In compliance with the effective ethical program company has been developing ann. ethical team which engages in gathering required data from the society and uses this information for the development of society in which company operates its business. In addition to this BHP Billiton has also point out that company has used various scientific and technical measures to contribute in ethical program to make good loss that was raised due to dam flooded in the village into Rodriguez in the State of Minas Geris (Kolk, et. al 2010). Ethical program of BHP billion is not only limited to making life better of those persons who suffered from the accident but also to provide all the positive contribution to the society at large. In the numerical terms what results were found in the latest report passes in annual vernal meting go the organization is that BHP has made contribution of one per cent of its profit which is bases of the average of three year’s profit earned by the company throughout the time in ethical program which is concerned with maintaining society’s concern at large and providing best available services within the regulatory pectoral cap I orderly manner. Furthermore gas emission is also has been considered for reduction of emission which poses high threats to the human life. In the upcoming project of company in context with the ethical program company has used separate upgraded machine which overcome the negative effects of chemical spreader in the averment in very effective manner (Capaldi, 2016). BHP has also developed new health and safety, environment and community targets which are described in corporate sustainability report about how organization focus on eliminating risks, minimization occupational exposure and improving the efficient use of energy and water resources, and other effectively uses of resources. With high level of contribution and consistent changes in BHP ethical program it is considered that company has been developing very effective CSR program for the betterment of the society at large. 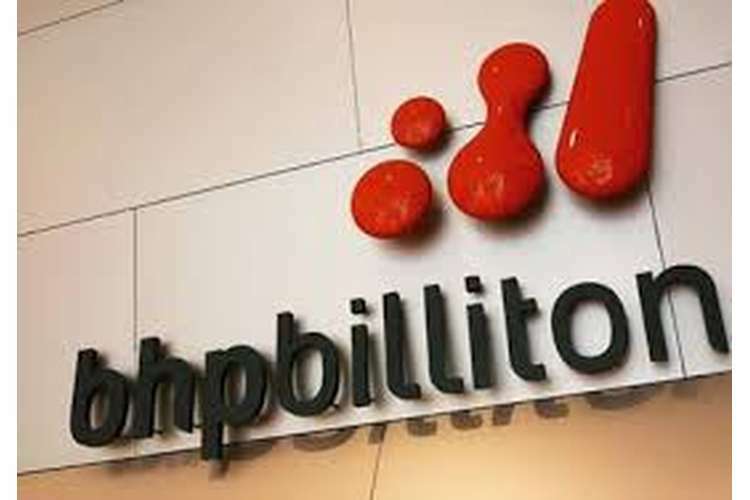 BHP Billiton is the fourth largest company of Australia based on revenue. Company is largest producer of products and this is making it responsible towards society. This report effectively defined different aspects of BHP Billiton which will define the framework, concepts, governance, social responsibility activities, and ethical environment issues arise in the company. BHP Billiton is involved in various activities which are focused on the development of renewable energy and among corporations (Sarkar, 2013). Company is considering different actions which are helping government policies in reducing the impacts of greenhouse gas emissions and diversify energy portfolios. Now we can conclude that BHP Billiton focuses on long term benefits of shareholders and leading market and its competitors effectively. Bonn, I. & Fisher, J. 2011, "Sustainability: the missing ingredient in strategy", Journal of Business Strategy, vol. 32, no. 1, pp. 5-14. CALLICK, R. 2010, Resources / investment tax / skills / emissions, News Limited, Canberra, A.C.T. Capaldi, N. 2016;2012;2008;, The Ashgate Research Companion to Corporate Social Responsibility, Routledge Ltd, Farnham. Crowther, P.D., Aras, P.G. & Uyan-Atay, B., Dr 2014, Corporate Social Responsibility: Corporate Community Involvement : A Visible Face of CSR in Practice, Ashgate Publishing Ltd.
Davies, A. 2016;2012;2011;, The Globalisation of Corporate Governance: The Challenge of Clashing Cultures, Gower, Farnham. Dempsey, A.L. 2013, Evolutions in Corporate Governance : Towards an Ethical Framework for Business Conduct, Greenleaf Publishing, Sheffield. Floris, M., Grant, D. & Cutcher, L. 2013, "Mining the Discourse: Strategizing During BHP Billiton's Attempted Acquisition of Rio Tinto", Journal of Management Studies, vol. 50, no. 7, pp. 1185-1215. Kolk, A. & Lenfant, F. 2010, "MNC Reporting on CSR and Conflict in Central Africa", Journal of Business Ethics, vol. 93, no. Suppl. 2, pp. 241-255. Sarkar, A.N. 2013, "Review of Strategic Policy Framework for Re-Evaluating ‘CSR’ Programme Impacts on the Mining-Affected Areas in India" in Emerald Group Publishing Limited, , pp. 217-261. Sharif, M. & Rashid, K. 2014, "Corporate governance and corporate social responsibility (CSR) reporting: an empirical evidence from commercial banks (CB) of Pakistan", Quality & Quantity, vol. 48, no. 5, pp. 2501-2521.